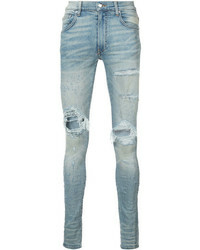 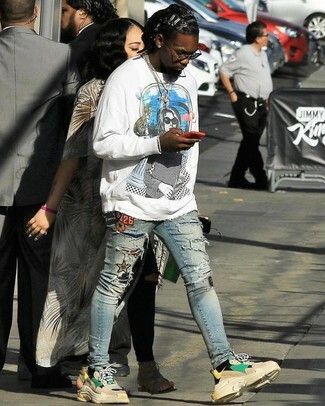 If you're all about functionality dressing when it comes to fashion, you'll love this on-trend pairing of a white print sweatshirt and light blue ripped skinny jeans. 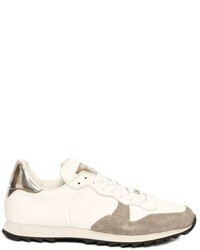 Beige athletic shoes are a nice choice to complete the look. 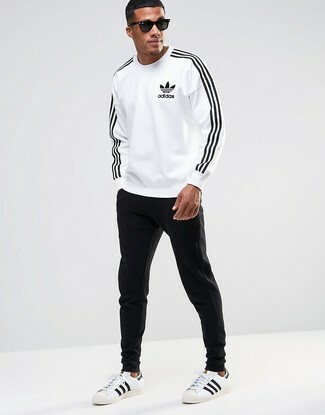 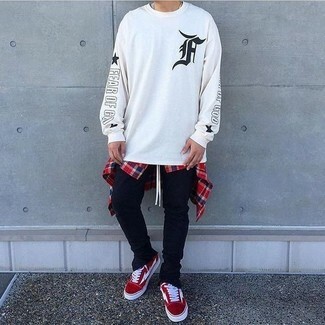 We all want comfort when it comes to dressing up, and this combination of a white print sweatshirt and black sweatpants is a great example of that. 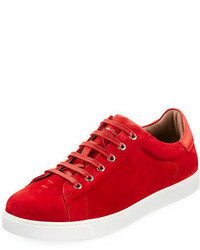 Turn your sartorial beast mode on and choose a pair of red suede low top sneakers. 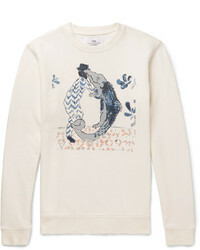 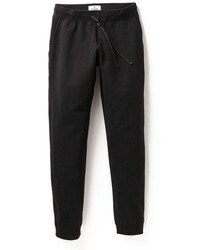 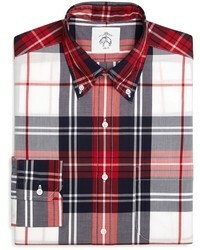 Dress in a white print sweatshirt and black sweatpants, if you feel like relaxed dressing without looking like a hobo. 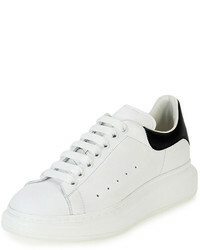 You could perhaps get a little creative in the footwear department and spruce up your getup with white and black leather low top sneakers.